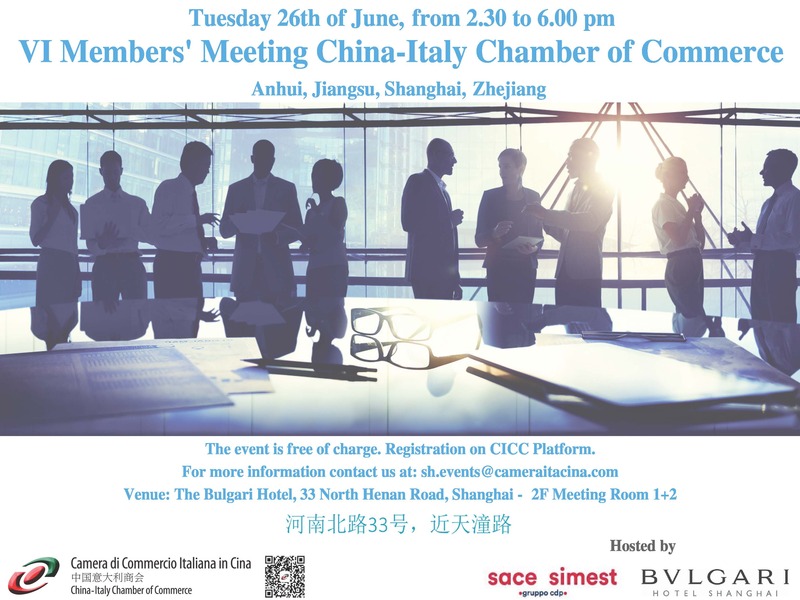 The China-Italy Chamber of Commerce (CICC) in cooperation with other binational Chambers of Commerce in Beijing is delighted to invite you to the All-Chamber Networking, which will be held on Thursday 23rd of August 2018 at Beijing Marriot Hotel Northeast, 26A Xiaoyun Road, Chaoyang District, 100125 Beijing. 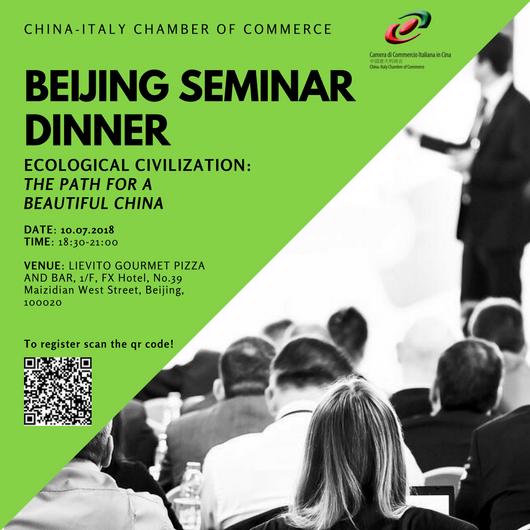 CICC is pleased to announce the Italian Summer Festival, to be held from 20th to 22nd July in Foshan. Italian Summer Festival is a unique occasion for you to experience and taste the real Italian Culture: walk around many different booths where you will enjoy the Italian cuisine and lifestyle, surrounded by the historical Lingnan style buildings located in the heart of Foshan. This month, the SGSO will take place on Tuesday July 10 at Mammamia! Restaurant in Shanghai, starting from 7.30 pm. During the dinner an overview entitled "Walled Gardens: Tencent vs. Alibaba" will be delivered by Ervis Micukaj from SSBG IT Solutions. We are glad to invite you to our usual CICC Members' Informal Meeting STESSO GIORNO STESSA ORA, that will take place Tuesday July 10th at OGGI TRATTORIA. ​ (Address: No.106, Canton Place, Zhujiang New Town, Tianhe District, Guangzhou - 广州市天河区珠江新城广粤天地106铺 ) starting from 20:00.